Microsoft refuses to give up on their mobile phone division, so much so that they are expected to officially announce the release of two new Lumia flagship phones, in October during an event. Evan Blass has published what may be the official press renders for both devices. The new phones are codenamed Cityman and Talkman. Their official names are expected to come out along the lines of Lumia 950 and Lumia 950 XL. 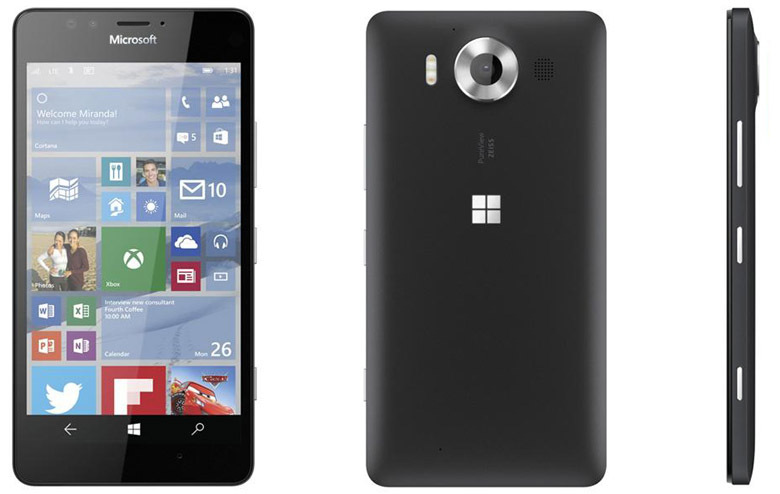 The Talkman (Lumia 950) is the smaller of the two with a 5.2-inch screen. The 950 XL (Cityman) holds a 5.7-inch screen. Both feature square look to the screens, and a simple Windows logo on the back. The two phones will sport a 20-megapixel PureView rear camera with triple LED flash. Storage and RAM is identical at 3 GB RAM and 32GB internal with microSD support. The 950XL is carrying a Snapdragon 810 Octa core processor, the 950 with the 808 Hexa core. They will both feature Surface pen support. Microsoft is set to hit the phablet and large phone markets hard with these phones also both supporting Qi wireless charging and USB Type-C, as well as Microsoft’s own Continuum movement to make smartphones more PC like.